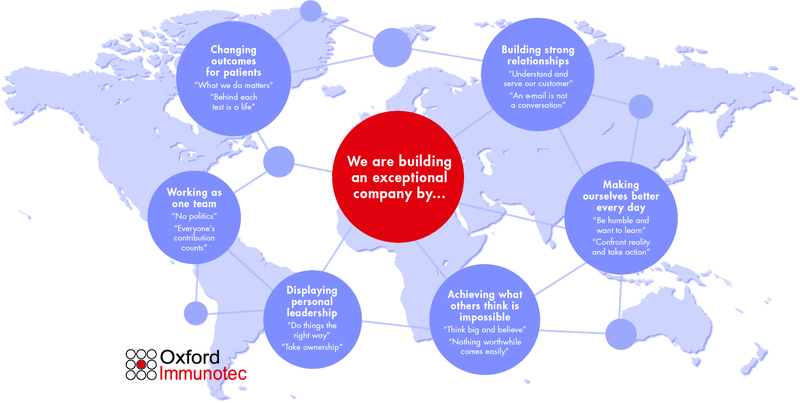 Oxford Immunotec is proud of its company values, which are centered on being an exceptional company. All of our employees aim to adhere to these values in their day to day activities, both internally and externally to the company. We believe that through commitment to excellence and the collected talents of our employees we will continue to foster a strong, ethical and exceptional organization.